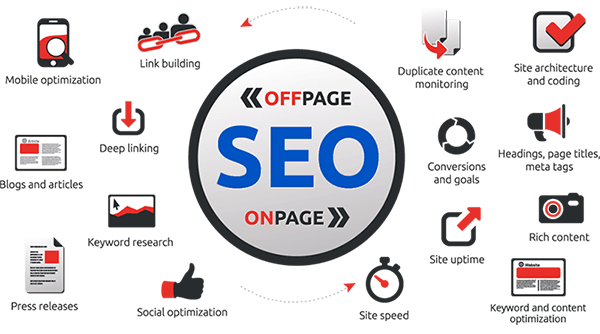 Search engine optimization (SEO) is the art and science of getting pages to rank higher in search engines such as Google, Yahoo, and Bling. Because search is one of the main ways in which people discover content online, ranking higher in search engines can lead to an increase in traffic to a website. Search engine optimization is a key part of online marketing because search is one of the primary ways that users navigate the web. In 2018, over 4 trillion searches were conducted worldwide across search engines such as Google, Bing, Yahoo, Baidu, and Yandex. For most websites, traffic that comes from search engines (known as "natural" or "organic" traffic) accounts for a large portion of their total traffic. Search results are presented in an ordered list, and the higher up on that list a site can get, the more traffic the site will tend to receive. For example, for a typical search query, the number one result will receive 40-60% of the total traffic for that query, with the number two and three results receiving significantly less traffic. Only 2-3% of users click beyond the first page of search results. How does Search Optimization Work? Search engines such as Google use an algorithm or set of rules to determine what pages to show for any given query. These algorithms have evolved to be extremely complex, and take into account hundreds or even thousands of factors for determining your rankings. Content - In addition to looking at links, search engines also analyze the content of a web page to determine if it would be relevant for any given search query. A large part of SEO is in creating content which is targeted towards the keywords that search engines users are searching for. Page Structure - The third core component of SEO is page structure. Because web pages are written in HTML, how the HTML code is structured can impact a search engine's ability to evaluate a page. Including relevant keywords in the title, URL, and headers of the page and making sure that a site is crawlable are actions that site owners can take to improve the SEO of their site. 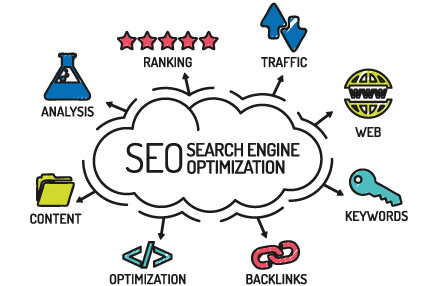 Search engine optimization done properly can have the potential to dramatically increase the amount of traffic that a website receives, but all of that traffic won't help grow a business unless it converts into paying customers. This is where conversion rate optimization (CRO) comes in. 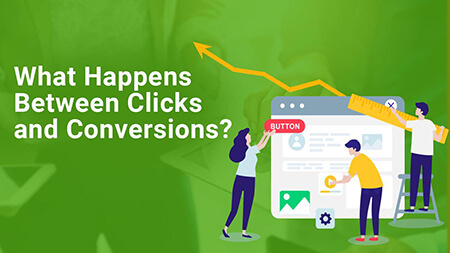 Conversion rate optimization involves using methods such as A/B testing to make changes to websites and measure the impact they have on a site's conversion rate. Successful search marketers know that just getting traffic to a site is not enough, what the traffic does once it arrives on the site is just as important.